Jodi Price is a plant community ecologist, who is broadly interested in community assembly processes, and species coexistence. She is interested in small-scale patterns and processes, and their generalities (and contingencies) at broad spatial scales. Her research has been conducted in herbaceous dominated communities, favouring temperate woodlands and grasslands, in Australia and abroad (Estonia, Spain, Canada). 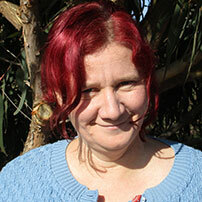 Jodi received her PhD in 2007 from La Trobe University, which focused on mechanisms governing species richness patterns in herb-rich woodlands. She then worked at the University of New England, exploring invasion, flooding, and grazing interactions in floodplain wetlands in north-western NSW. She also worked abroad for 3 years, undertaking a post doctoral position at the University of Tartu in Estonia, where she explored global scale patterns in grassland community assembly. Jodi's research questions address both fundamental ecology, as well as topics that are more directly applied, such as restoration, disturbance and invasion ecology. Tamme, R.,Gazol, A., Price, J.N., Hiiesalu, I. & Pärtel, M. (2016) Species-specific responses to soil heterogeneity in experimental grassland communities. Journal of Vegetation Science 27, 1012-1022. Perring, M.P., Standish, R.J., Price, J.N., Craig, M.D., Erickson, T.E., Ruthrof, K.X., Whiteley, A.S., Valentine, LV., and Hobbs, R.J. (2015) Advances in restoration ecology: rising to the challenges of the coming decades. Ecosphere 6, art131. Good, M.K., Clarke, P.J., Price, J.N. and Reid, N. (2014) Seasonality and facilitation drive establishment in a semi-arid floodplain savanna. Oecologia 175, 261-271. Price, J.N., Gazol, A., Tamme, R., Hiiesalu, I. and Pärtel, M. (2014) The functional assembly of experimental grasslands in relation to fertility and resource heterogeneity. Functional Ecology 28, 509-519. Gazol, A., Tamme, R., Price, J.N., Hiiesalu, I., Laanisto, L. and Pärtel, M. (2013) A negative heterogeneity-diversity relationship found in experimental grassland communities. Oecologia 173, 545-555. Price, J.N. and Pärtel, M. (2013) Can limiting similarity increase invasion resistance? A meta-analysis of experimental studies. Oikos 122, 649-656.